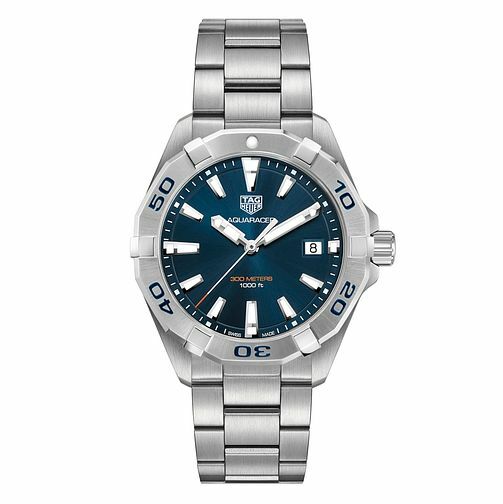 This TAG Heuer Aquaracer watch is designed with the intrepid in mind. Boasting a sleek and easy to read blue dial, contrasted by the white tone hands, and stainless steel bezel. Water resistant up to 1000ft, this sporty timepiece is the ideal accessory for the busy man always on the go.